Enhancing and coordinating your worship service is a snap with these stunning motion video collections. 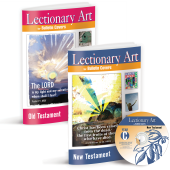 Each set contains over 20 videos that coordinate with popular holidays and special days for that season, as well as a variety of Celebration, Welcome, Goodbye and Scripture videos. Fully customizable, each set comes with High-Definition and Standard-Definition files, compatible with Windows and Mac. To view all motion videos click here.